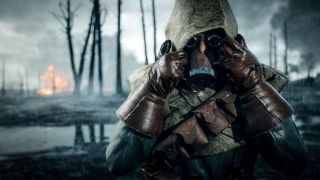 Battlefield 5 has launched a day early for Origin Access users. Premier members were promised the chance to play DICE’s FPS a whole 11 days before the launch date, which would have been tomorrow, November 9. If you look at the timer on the official page, it’s still counting down. People are already playing now, however. I was able to confirm that it is playable if you’re an Origin Access Premier member, so you can have an extra day of war. You lucky devils. Origin Access Premier is £14.99/$14.99 a month. The cheapest version of Battlefield 5 is £54.99/$59.99. It’s quite the gulf. Of course, you’ll only retain access to Battlefield 5 while you keep paying the subscription, but it’s still a much better deal. You’d need to play for 5 months before buying it outright would have been cheaper. We’re not quite ready to render final judgement, but take a gander at our Battlefield 5 review in progress.